iAsk x China Daily | How can PE Business Continue in Bear Market? Holding a PhD in Physics from the School of Engineering at MIT, having worked for renowned foreign investment banks like JPMorgan Chase & Co., Goldman Sachs and Bank of America Merrill Lynch, and serving as Director of Chinese Association of Financial Executives since 2012…Despite such fame and honor, financial expert Wang Changnan has returned to Hangzhou, China. It is the explosive growth of China’s PE fund market that lures him back. By the end of March 2018, there were 23,000 PE institutions managing 12,04trillion yuan of funds. However, insider trading and market manipulation were much criticized. Financial market is full of investors looking for windfall. They are constantly buying and selling stocks, like garlic chives growing one after another. A place full of capital and crazy people can never have enough arbitrageurs. Fanatic speculators keep crashing against the fence of regulation to get out of the border. But when they try to profit from other investors, they don’t expect that one day they may become victims. Having been engaged nearly two decades in the financial industry both home and abroad, Wang has the deepest understanding of the secondary market. He has seen the fortune sagas of global financial tycoons, as well as the misery and despair of investors who lost everything. Today we have Wang as guest of iAsk Leaders to unveil what’s behind PE funds, to go through the mist and explore the path for the future. Who can protect retail investors? iAsk: PE funds have experienced ups and downs in the last 13 years. Insider trading as well asmanipulation and hype in the secondary market are much criticized. If China’s PE funds is to prosper in the future, what are the biggest risks? Wang: I think the biggest risks are risk control and compliance, truthful information disclosure, the authenticity of the PE companies’ publicity materials during fund raising, as well as client returns and risk assessment. These will be the major risks for PE companies. Insider trading is real, so is stock market hype. Insider trading is a very serious issue abroad. It surely results in sentencing and fines, at least you can’t work in securities for a few years. Especially in the US, insider trading hardly escapes the regulators, because they are able to find out. In China, however, regulation on insider trading may be less stringent. iAsk: Is loose regulation atechnical or institutional problem? Wang: It should be both. Information exchange may not be well-limited. Mergers and acquisitions abroad forbid any exchange of information, but in China people are not aware of that. As China’s financial market grows and integrates in the international market, this might change. Market hype is commonplace in China. For instance, I get one or two calls a week trying to add me to a WeChat group whose purpose is just to recommend stocks. Usually the main players in this group are likely to buy instocks in advance and disclose the information after 3pm, saying the stockprice is bound to rise tomorrow. Probably it does rise tomorrow, because many people would buy the stock, and some of them might sell them next day. Sinceit’s T+1 in China, second day buyers cannot sell it on the same day, while first day buyers can sell on the second day. It’s illegal, but many people are doing this. iAsk: What advice do you have for the greedy and suffering investors? Wang: Don’t be fooled. The operators must also keep in mind the bottom line both morally and legally. I hope Chinese regulators can give heavy punishment to those people. iAsk: Such illegal and unreasonable events like insider trading and market manipulation are gaining momentum. It is partly due to low cost of crime and light punishment. When institutions compete with human nature, the latter may easily fail. Wang: Therefore, if there is heavy punishment, the situation may change. How can PE business continue? iAsk: As the PE industry is poorly regulated, the ordinary stock buyers suffer the most. Before regulation improvement, a temporary solution is to let institutions bear the risks. Will the in stitutions be eliminated from the market or become saviors? Wang: It depends on the companies. Probably in the end, small institutions unable to survive will be eliminated, while big ones tend to form large scale. iAsk: The Bitcoin world has done all the frauds, manipulations and lies found in China’s secondary market at the fastest pace. In the long term, how can PE business continue without stock market reshuffle or people buying stocks in bear market? Wang: Just like other countries, let the professionals do the professional things. iAsk: In stock investment and secondary market, what’s the difference between professional staff/institutionsand defrauded and suffering retail investors? Wang: The biggest difference is that professionals are relatively rational. They focus on finding value, while retail investors simply follow. When some stock price is hyped up, they may follow. iAsk: The financial market is more professional and international, which is a disruptive shock and lesson formost Chinese investors. Do you think it’s sound? Is it the most rational and reasonable pace? Wang: I think so. As the financial market develops, more professionals are engaged in market operation. Those who know little about the financial market, instruments and products may fail or even be eliminated. But as market develops, many investors who survive may have the chance to grow rapidly. Therefore, I think it’s positive.  iAsk: What kind of professional investment institutions will be most needed in China? Wang: Fund companies need experienced financial talents who are well-versed in financial market and instruments. Besides, they need a team of risk control and compliance, who perform their duties by the rules.